This topic contains 3 replies, has 2 voices, and was last updated by Mr. Average 4 days, 18 hours ago. It’s a three round, 3k NetEA list tournament. We start at 9am and go until we’re done. Plenty of gaming Friday and Sunday too for those making a long haul (or for those who just want to hang around and roll some dice). It’s more of a tournament in name only, mostly just excuse to play a lot of Epic. 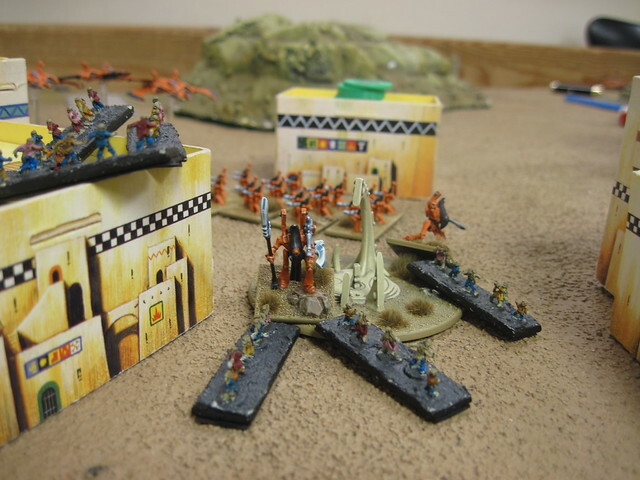 We’ve had many players play their first games at this over the years, and have armies that can be loaned out for the day. This topic was modified 5 days, 12 hours ago by Evil Dave. Is the tournament 3mm scale friendly? It might look a little weird, but I’ve got no problem with it if it nets us a new player. Maybe if I bring both sides of a 3mm conflict, it might raise interest. We’ll see if I can even make it!